Picture Perfect Ceremony in Front of Our Beautiful Four Tiered Water Fountain or on our Outdoor Patio. Includes a Half Hour of Additional Time for your ceremony. 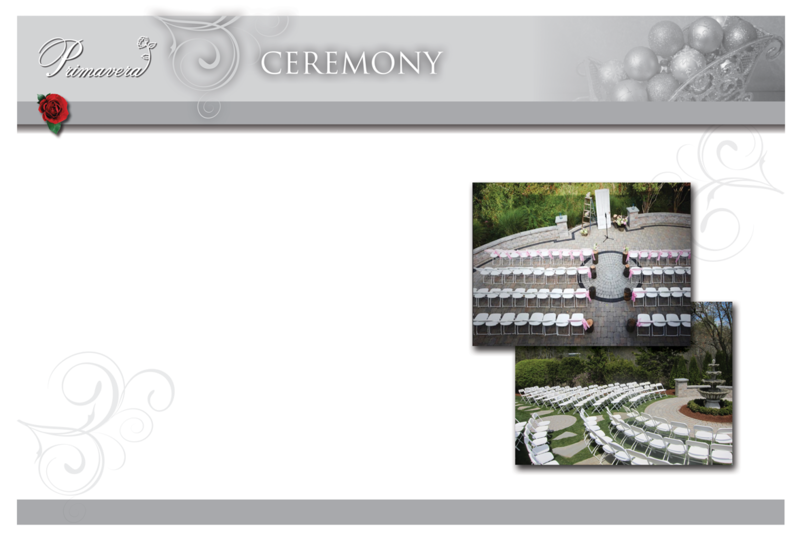 Garden Seating with White Folding Chairs for All of Your Guests during your ceremony. Choose from Our Garden Gazebo or have your ceremony inside our Grand Atrium. Includes a Half Hour of Additional Time for your ceremony. 20 chairs set up and reserved for your loved ones.